Clearing customs and immigrations in FYKT (Keetmanshoop, Namibia) and FAUP (Upington, South Africa) was no problem (in Keetmanshoop, the lady at customs and immigrations still remembered me - there is not so much traffic, really). I had a very nice tailwind (here's a video, 11MB) on the flight to the South-East, so instead of going direct to FAUP, I diverted to the Augrabies waterfalls (just a few miles west). 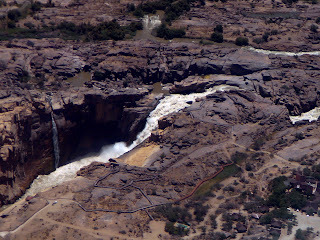 Augrabies Falls, Orange River. The Khoi (Hottentots) called it "Aukoerebis", place of great noise. 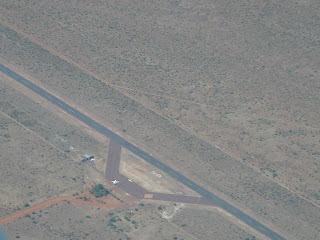 Waypoint FASS: Sishen. "Jo'burg West Info, Zulu-Sierra-November-Xray-Whiskey over Sishen 1412, expect next Schweizer Reneke 1510." 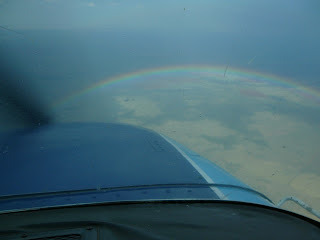 Rainbow - the picture does not do justice to what I saw. 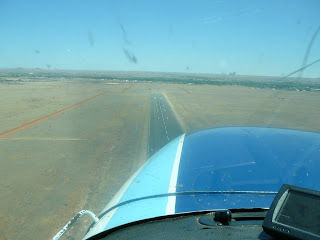 I arrived well in Klerksdorp after 5.3h flight that day (FYKT-FAUP 2.3, FAUP-FAKD 3.0), and Cliff picked me up at the airport. He invited me to his company's christmas party at a beautiful lake - a great sunset, BBQ (steak! 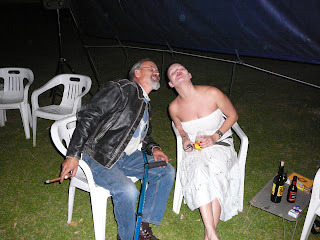 ), cold beer, and fantastic company - what more can you ask for? 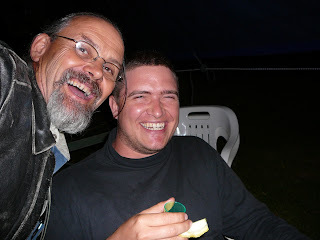 Back to South Africa: FYKT-FAUP-FAKD was published on December 08, 2006 .